Tri Color Fashion Tote Just $10.99! Ships FREE! You are here: Home / Great Deals / Tri Color Fashion Tote Just $10.99! Ships FREE! Perk up your winter with this tri-color tote! Order the Tri Color Fashion Tote Just $10.99! Ships FREE! Ships FREE! 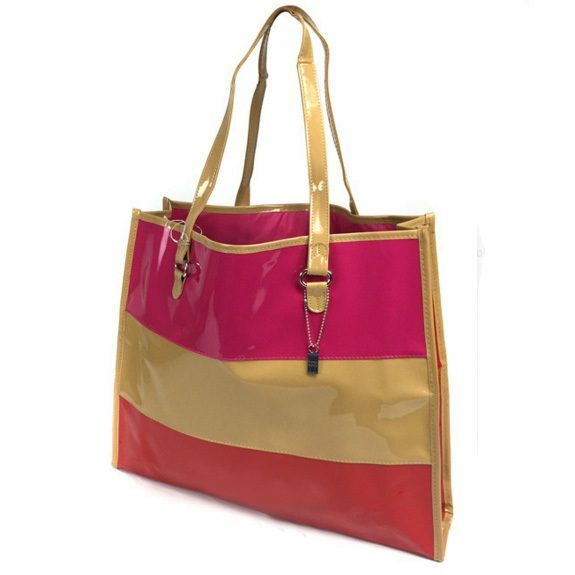 This stylish tote features a tri-color design and pink fabric lining inside with key pocket near top. Perfect for everything from an afternoon running errands to a day at the beach, this bag will look great being toted over your should or in your hand!. Click here to check out more Great Deals!